Walking into the Holland Museum, you’re surrounded by inventions. Some highlight the history of the area, with industries like furniture manufacturing and boat building flourishing in an area historically known for timber. Other inventions on display bring to light the creativity of the past—a treadmill for a dog, connected to a butter churn, is a favorite. As you talk with Holland’s residents, the region’s connection with invention becomes clearer. Stories of inventions of the past intermingle with those of the present, like an underground snowmelt system that keeps the downtown streets walkable in the winter. Some people venture into speculations about future inventions important to the community, looking at ways to protect the waterways enjoyed by so many residents and visitors. That thread of invention, running from the past to the present and into the future, is what makes Spark!Lab’s presence in Holland so special. Opened at the Holland Museum on August 3, 2018, this tenth Spark!Lab National Network site focuses on invention’s place in the community throughout history. 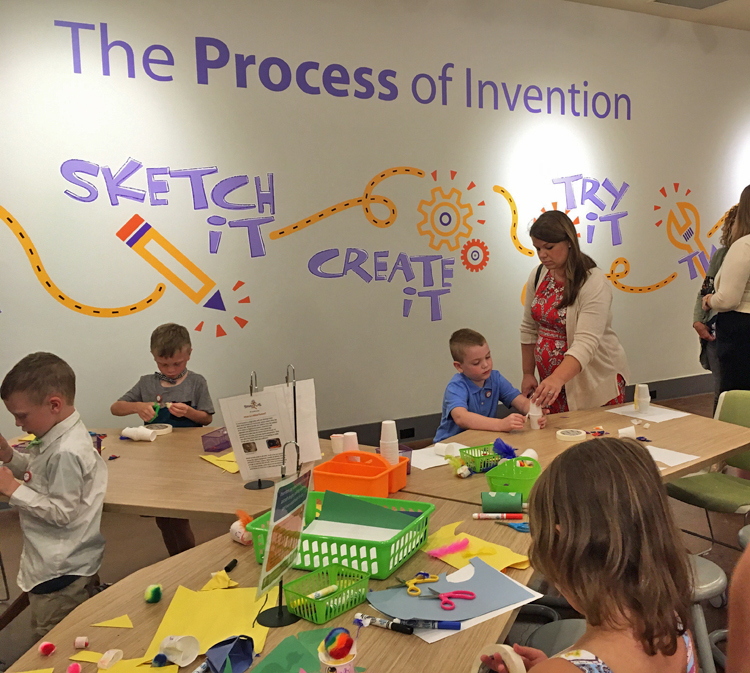 After welcoming remarks and a ribbon cutting, young inventors rushed into Spark!Lab. They transformed the room with their energy and creativity, diving into bins of materials fearlessly, trying and tweaking their creations. Orange feathers became fins attached to the paper cup body of a rocket tested in the Vertical Wind Tunnel. Two friends worked together to build a racecar out of PVC pipe, while a younger sibling and her mom read a book together in the reading corner, pointing out gears and gadgets to each other in the colorful illustrations. 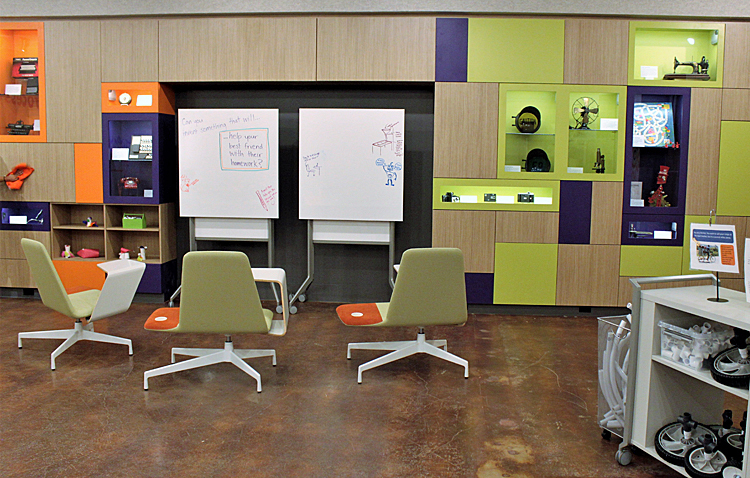 Staff, interns, and volunteers are there to help in Spark!Lab, but most visitors get started on their own. The inventor of the rocket with orange feather fins tested her invention in the wind tunnel, and caught it when it flew out the top. “How would you change your invention?” asked one of the Holland Museum’s interns. The rocket inventor looked at her, considered for a moment, and, without replying, got furiously back to work, adding pompoms with great deliberation. 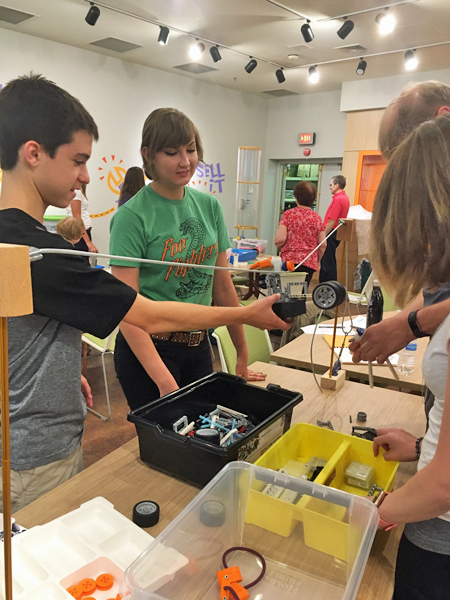 “Spark!Lab helps us really show what you can do as an inventor by showing what has been done right in our community beforehand,” says Ricki Levine, Executive Director of the Holland Museum. And with such a history of invention in Holland, the future looks bright.